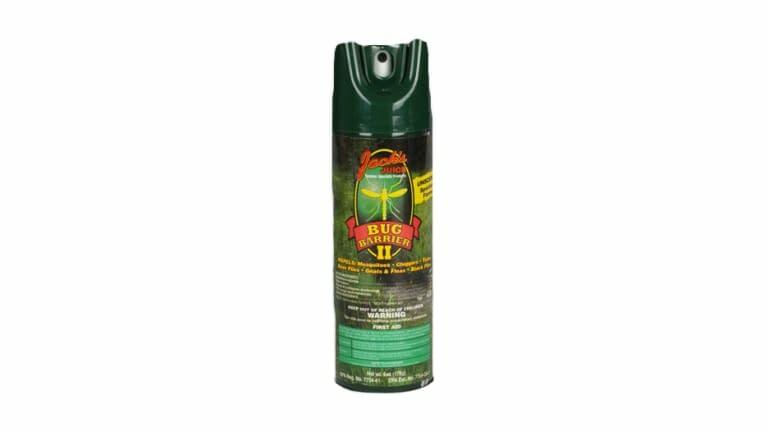 Tame the great outdoors with proven protection from Bug Barrier II, a Jacks Juice exclusive. When you make the trek to the woods or water, you dont want to be worried about West Nile virus, Lyme disease or other bug-borne threats. With Bug Barriers exclusive 25% DEET formula, you get up to 5 hours of protection with a single application. Make no mistake about it; DEET is still the number one thing to repel mosquitoes. Jack's Juice offers our insect repellants with our exclusive 360 degree spraying method for easy applying. Our product repels ticks, mosquitoes, chiggers, deer flies, gnats, black flies, and fleas. So you can concentrate on what youre tracking, not whats attracted to you. 6 oz.